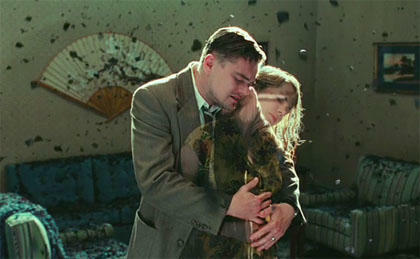 The 2010, Martin Scorcese film, Shutter Island explores madness and denial in a film noir style detective thriller. The two protagonists are led on a winding tale of secrets, conspiracy, and double motives. 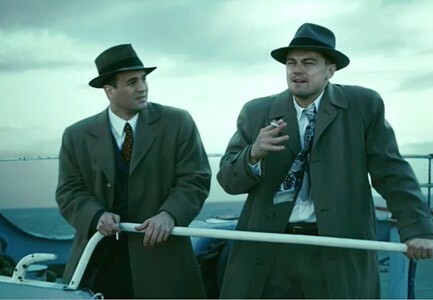 Two US Marshals, Teddy and Chuck [Leonardo Di Caprio and Mark Ruffalo], travel to Shutter Island, to visit Ashecliffe hospital, notable for housing the criminally insane. A woman patient, guilty of the drowning death of her three children, has escaped and things are not well. Strangely her doctor, Dr. Sheehan, has also just departed on vacation and the doctors and patients seem caught up in a web of secrets. 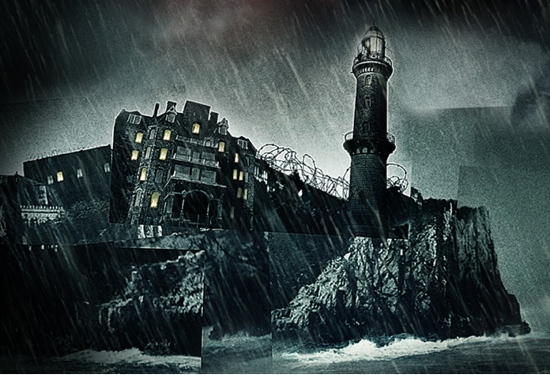 When the two men arrive, a storm traps them there for several days further complicating matters and compounding the eerie mysteriousness of the island institution. Upon arrival, the men are stripped of their weapons and treated to the harsh regulations of the islands. Mysteriously they are barred from viewing certain buildings, and their actions are heavily monitored. Despite the assurance that the island has been thoroughly searched, the inmate Rachel Solando, seems to have vanished without explanation. Throughout the film, Teddy suffers flashbacks of terrors he witness during WWII, especially during the liberation of Dachau concentration camp. He has instinctive suspicions about the motives of the head Doctors, particularly Dr. Naehring, who has a German accent. Moreover, he is haunted by visions of his deceased wife Delores who died in a house fire, set alight by one Andrew Laeddis. In one dream, Delores tells Teddy that Rachel is still on the island, as so is her killer Andrew Laeddis. After a terrible night of the storm, alarms have been reset and patients are found wandering outside of their cells. Without explanation, Rachael Solando is found. Suspicious the doctors had simply been hiding her, Teddy interviewis her, when she suddenly starts shrieking that Teddy is her [dead] husband. More and more suspicious the truth is being hidden, Teddy breaks into C Building alone and encounters George Noyce a prisioner in solitary confinement there. He assaults Teddy, telling him to stop searching for Laeddis and warns warns that the doctors on the island are performing illegal lobotomies on patients. He claims that everyone including Chuck is playing and elaborate game to deceive Teddy. Increasingly confused by the mysterious island and contradictions among resisdents and staff, Teddy and Chuck explore the forbidden Lighthouse on the island and the two get separated. Thinking he can see a body fallen from the cliffs, Teddy climbs down and meets a woman hiding in a cave. She tells him she is the real Rachel Solando, who worked as a doctor on the island until she questioned some of the medical experiments being undertaken at which point she was committed as a patient to prevent her from escaping. When Teddy returns, he discovers the staff believe he came to the island alone and that Chuck Aule had never accompanied him. Isolated but determined to uncover the plot, Teddy returns to the forbidden light house where he encounters the head doctor, Dr. Cawley. Here Cawley explains that Teddy is himself Andrew Laeddis [and anagram of his own name], incarcerated for the murder of his depressive wife who drowned her own children. Thus, Rachel Solando is an anagram for his wifes name Delores Chanal. The past few days, the staff of the institution had experimented with a new therapy, allowing Teddy [Laeddis] to role play a Federal Marshall investigating the island, in an effort to break through this conspiracy laden insanity. The only way Teddy could live after her death, was to invent an elaborate story of her murder and his desire to seek down the killer. Chuck is in fact Teddy’s psychiatrist, Dr. Sheehan. The doctors indicate that Laeddis has achieved a state of clarity 9 months prior but had degenerated again into a state of denial. Here again Teddy faces the truth of his actions and admits his guilt for not realising his wife’s trouble and getting her help when she needed it. However, despite this clarity, the next morning it’s clear that Teddy has regressed into the role play again, refusing to ‘remember‘ who Dr. Sheehan is. Teddy then asks whether it is better to “live as a monster or die a good man.” The film closes as he willingly follows the orderlies, who take him away to undergo a lobotomy. The film explores a dream-within-a-dream. As we dream of Teddy [as viewers], he dreams of Teddy as Laeddis. The truth comes to him in flashbacks and hallucinations – his wife, the children, her killer. His fractured personality, created to prevent himself from bearing the full weight and terror of understanding his actions, creates in him a distance from his visions. His visions are his true-self. He can only handle clues, one at a time, a mystery thriller he must solve as the protagonist, the good guy, hunting down the culprit. However, when he discovers the truth it is again too much to bear and he reverts again to the “dream” of forgetting. Finally, he would rather live without the memory and “half a man”. He would rather die with the delusion of being good than know his true self. If only we would heed the truth that comes to us through dreams, through stories. There we can act as the protagonist and hero, seeking out the culprit to all the ills and wrongs of life. However, when faced with the reality of our own human nature, will we accept it or revert instead to the dream of denial? 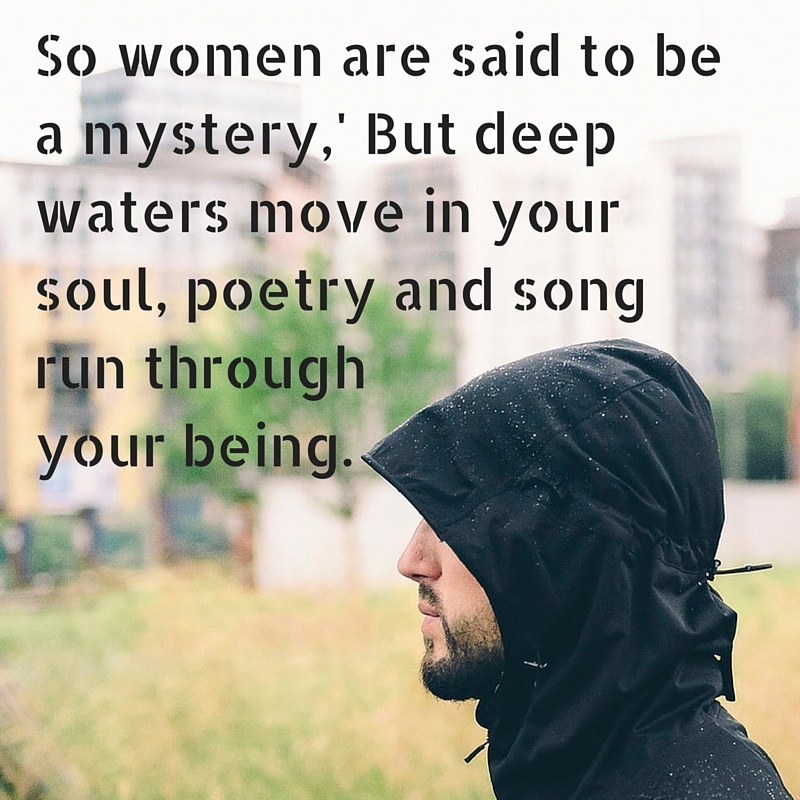 Would we rather live with the delusion of being good than know our true selves?